WE OFFER GIFT CERTIFICATES IN ANY DENOMINATION FOR THE Charter Fishing TRIP OF A LIFETIME! Need a great Gift idea for family, friends or colleagues? 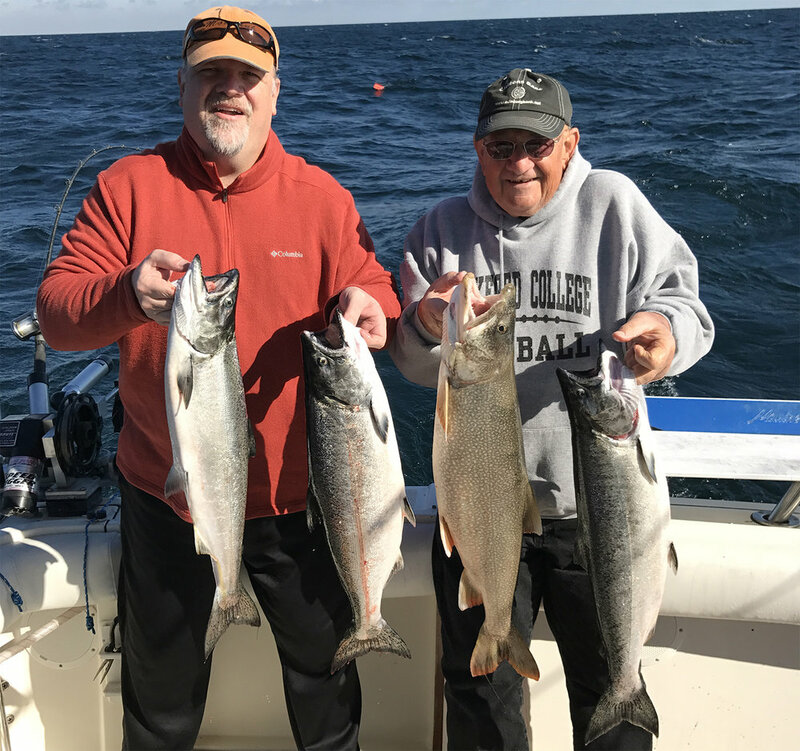 Why not give them a gift certificate of a fishing charter to catch Salmon and Trout on Lake Michigan with Jack’s Charter Service. What an amazing way to celebrate a special occasion. We offer gift certificates for Ice Fishing and Walleye fishing as well. Please make sure you tell us that you are using a gift certificate at the time of booking. Gift certificates must be presented at the time of boarding. Gift certificates must be used within the season. If the certificate holder misses the booked date without prior notice then the certificate will be for forfeited.